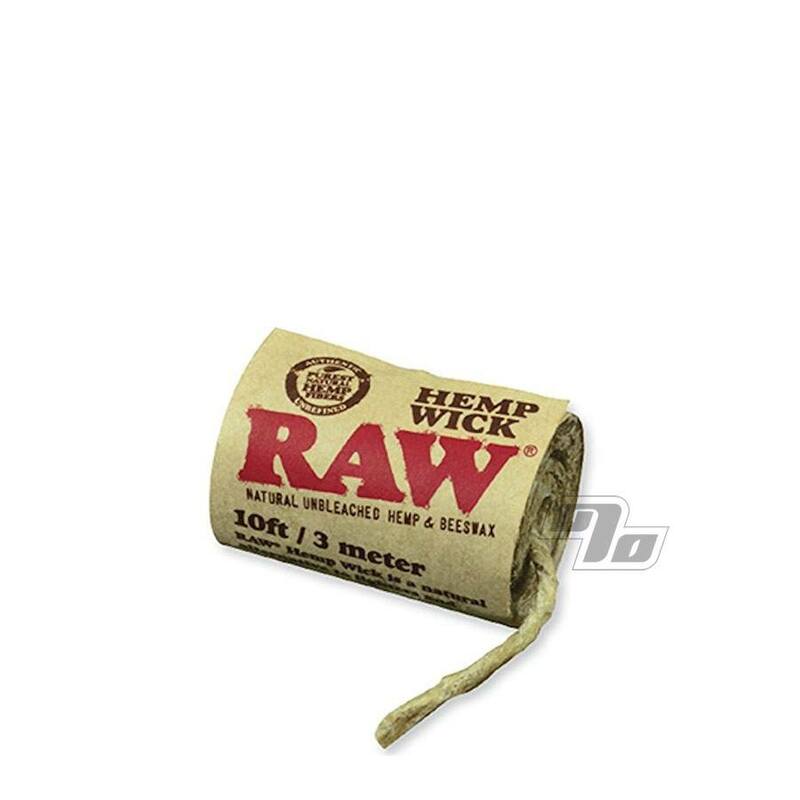 RAW Hemp Wick is a natural alternative to lighters and matches brought to you by the same guys who produce RAW Organic Hemp Rolling Papers. It's the cleaner way to light your joint, smoke and/or bowl. Using only the highest quality hemp and beeswax sourced in Europe, this wick creates a natural, clean burning flame. RAW Hemp Wick is locally sourced (Europe) with the environment in mind. 2. Beeswax from a single source who's a true believer in holistic natural beekeeping. Hemp wick is a great natural alternative to traditional butane lighters. Avid smokers find it's the best to light pipes and even hand rolled smokes. Any smoking activity that may require a constant flame to start the process or to complete the pull. Hemp wicks (like this one from RAW) are made from hemp fibers and coated with beeswax. Easily ignite your wick with a lighter or a candle as needed. The flame size can be adjusted by tilting the wick. Use a flame source for igniting the hempwick then enjoy a pleasant aroma while you enjoy a healthy light. Common sense; Ensure flame is completely extinguished after each use and never leave unattended. RAW Hemp Wick boxes and cards are printed on recycled and/or hemp paper. This RAW hemp wick is handmade in Europe by employees that receive a fair wage (living wage that’s 2x higher than standard). Our model is very simple – everything has to be eco and locally sourced. Ensure flame is completely out after each use. Beeswax may drip when lit.